2. Strategic 3PL Relationships: Dedicated 3PL account manager is a primary liaison between client. The account manager manages the relationship as part of a 3PL's sales organization. 3. 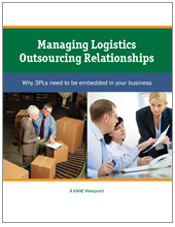 Embedded 3PL Relationships: 3PL resources dedicated to client's business and co-located at client facility. Acts as a seamless extension of client's internal supply chain organization.